At SGInnovate, we launch, prove and scale 'deep tech' products borne out of science research. We believe Singapore has the resources and capabilities to 'tackle hard problems' that matter to people around the world. 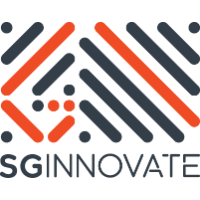 SGInnovate has been established to help ambitious and capable people to build 'technology-intensive' products borne out of science research. Our commitment is to use the full power of the Singapore ecosystem to achieve this mission.